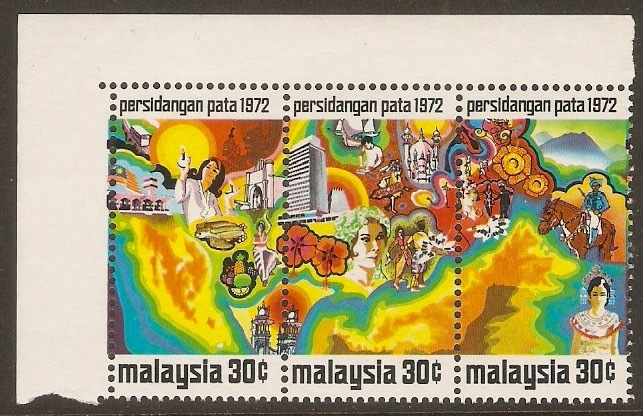 Malaysia 1971 Ruler Installation Set. SG77-SG79. Mounted mint 1971 Ruler Installation Set. SG77-SG79. Malaysia 1971 25c Bank Building Opening. SG80. Mounted mint 1971 25c Bank Building Opening. SG80. Horizontal pair with sheet corner margins. Malaysia 1971 50c Bank Building Opening. SG81. Mounted mint 1971 50c Bank Building Opening. SG81. Vertical pair. Malaysia 1971 25c Parliament Buildings. SG82. Mounted mint 1971 25c Parliament Buildings. SG82. Horizontal pair. Malaysia 1971 75c Commonwealth Conference Stamp. SG83. Mounted mint 1971 75c Commonwealth Conference Stamp. SG83. 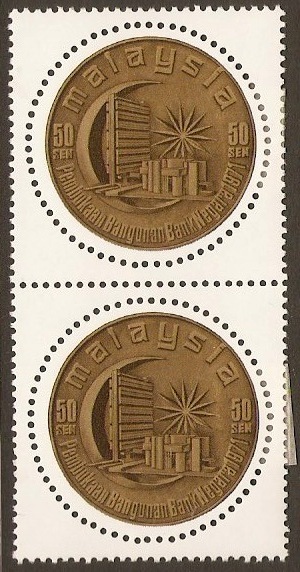 Malaysia 75c 1971 Commonwealth Parliamentary series. SG83. Unmounted mint 1971 75c Commonwealth Parliamentary series. SG83. Block of 4. 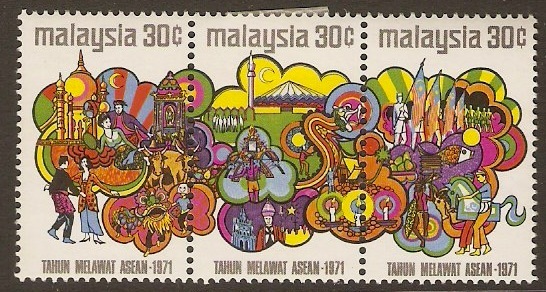 Malaysia 1971 ASEAN Year Set. SG84-SG86. Mounted mint 1971 ASEAN Year Set. SG84-SG86. Strip of 3 stamps. 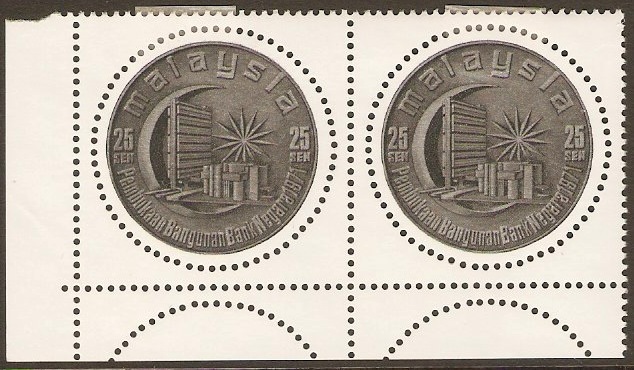 Malaysia 1971 UNICEF Anniversary Set. SG87-SG91. Unmounted mint 1971 UNICEF Anniversary Set. SG87-SG91. Strip of 5 stamps. Note mounts on sheet margin. Malaysia 1971 SEAP Games Set. SG92-SG94. Mounted mint 1971 SEAP Games Set. SG92-SG94. 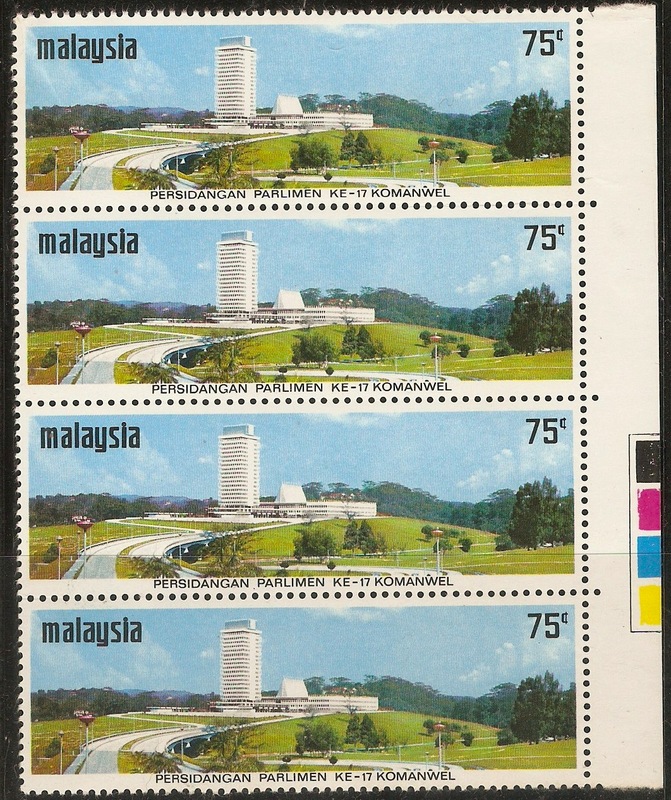 Malaysia 1971 Tourist Association Conference Set. SG95-SG97. Unmounted mint 1971 Tourist Association Conference Set. SG95-SG97. Se-tenant block with sheet margins.